Broker’s Report April 16––In the spirit of keeping this from sounding like the Broken Record Report instead of a fresh Broker’s Report, I will digress somewhat this time around, but hopefully produce something worth your while. So let me digress. Over time I pile up what I think are tasty bits information from various sources that apply to what is happening in Mammoth and the real estate market. Some of this information flows to sales meetings and some to the trash can. But some stick. So here is some of what I’ve dug out of the stack. From the New West Network on April 1 (this was no April Fools’) titled “Credit Suisse’s Troubled Rocky Mountain Empire”. 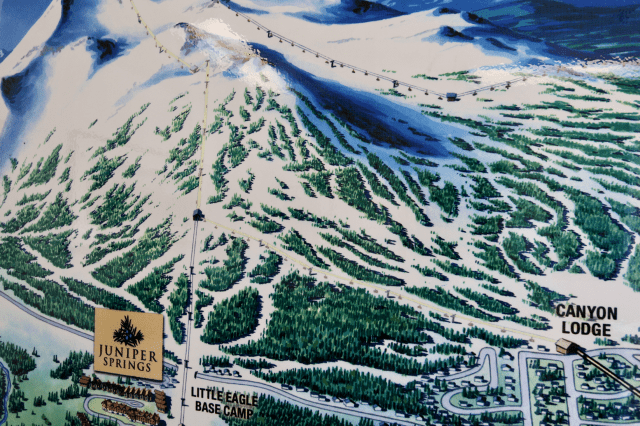 The article speaks to the failures at the Tamarack Resort in Idaho, the Promontory Club in Utah and the Yellowstone Club in Montana––all new high-end (mountain) resort developments. What all three have in common is that international banking giant Credit Suisse is their primary financier. Tamarack is in bankruptcy and they are in default of their $250 million loan and Credit Suisse is trying to foreclose. Promontory is also in bankruptcy and owes CS $275 million. The Yellowstone deal is more convoluted and a little higher in profile. But the celebrity clientele is bailing on the half finished project. The CS loan there is $300 million. The article states “It’s impossible to know whether Credit Suisse was a foolish lender that’s about to lose its shirt, or a shrewd deal-maker that’s about to pick up some valuable properties for a song.” I wonder if Credit Suisse has a quarter-billion dollar loan on Mammoth? But my “take away”––there is an obvious limit in the demand for luxury mountain resort product. This should continue unless the dollar becomes so worthless that the rest of the world considers basement pricing for the luxury experience. And ultimately the resilience of Mammoth is its ability to consistently do numbers. Around town I am hearing a recurring theme. Old time locals like Steve “Bearman” Searles and Town Council candidate Chris Tolley are among those that have barked at me “We want our town back.” I ask these people what that means. Their responses are thoughtful. They think about the way Mammoth was in the 80’s and 90’s. Times were tough economically but there was a much greater sense of community. (We were all in the lifeboat together.) And there was no mania. They express they aren’t opposed to growth and development. They just don’t like the circus, the transient egos and short-term thinking––the sell-out to corporate carpetbagging. It reminds me of the old saying “Be careful of what you ask for.” But what they’re asking for is happening. 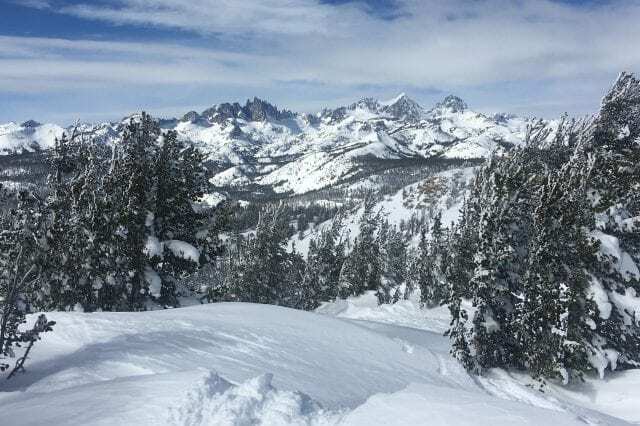 Mammoth’s own form of Darwinism is resurfacing. (Darn, gorging at Nevados is so much more fun than picking over the sale items at VONS.) But I digress. Back to real estate and some of my random observations. The Westin will epitomize this past era of excess and speculation. The currently listed inventory at the Westin Monache represents 10+% of all the Mammoth condo listings. I’m aware of many second phase defaults (and buyers walking away from their 10% monies) and now it appears they are holding back at actually re-listing the properties––the MLS as of this week reflects, “contact…for further information regarding developer product inventory.” And one local attorney has pointed out to me the developer’s Civil Code responsibility to those defaulting buyers. This creates just one more quandary that will only be exacerbated by the coming months of the rental income black hole. Buyer beware, phantom inventory is greater than ostensible inventory. Another growing complaint is the “trust” many Mammoth buyers (2005-07) put in the Starwood acquisition. That trust has dissipated to nothingness. I guess we’re lucky the chairlifts keep running. A broken down Branding process, no new lodge at Eagle, no Village parking lot, no ski back trail, no “1”, (although the new Chair 9 is very cool albeit a very questionable investment in relation to other needs), no nothing really. Oh I forgot, fancy LA food on the Mountain. The airport may be ready just in time for fuel prices to crush the airlines. And all hope is now left to some newcomer Cowboys to put on the Ritz, pump the Town coffers and keep the trickle of momentum going. The only things we can really trust in are the God given qualities of Mammoth. It really is starting to feel like the 80’s and 90’s again. Oh there’s that broken record. Maybe we should just brand it Broken Record Mountain. Meanwhile, it is time to renew your MVP or buy an April discount Gold pass. Get a SUV hybrid with DVDs in the back for the kids. 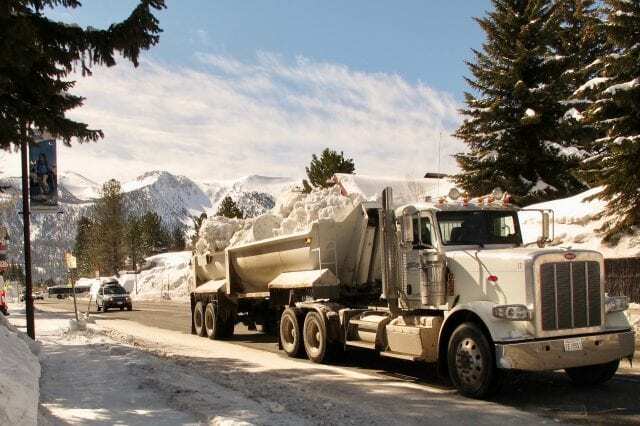 If you ever planned on building or remodeling in Mammoth, now is a great time. The contractors are waiting. Clearly there are many waiting-in-the-wings buyers for Mammoth real estate. But there is no pressure other than life’s clock. I don’t know how to respond to so many who want to own a piece of Mammoth but to just sit back and see where all of this is going. My answer is I’ll just do my best to keep you apprised of the market. I’m watching and analyzing every day. But don’t mind if I take some time and go skiing, go hike or ride the bike or go fishing on the Pacific. All of this will sort itself out. Please join us for Town Clean Up on May 17, the sponsoring restaurants are promising to out-do the fantastic job they did last year! There is just so much interesting info here in such a small space. Where to begin? It is like reading a real town newspaper with real investigative reporting, supporting facts and real independent editorial analysis. More than just realestate, this is the real state of Mammoth, including the mention of Mammoth’s GOD given blessings. Where to start on Paul’s observations? Regarding Mammoth’s ability to deliver numbers, I can only guess that means lift tickets and hot beds sold per year. This may be a special and unique character of Mammoth’s psycho/geographical relationship with the 20+ million people living in SoCal. It is hard to separate TML from its devoted SoCal “legacy” checkbook. Starwood/Intrawest, etc. Starwood is not getting the airport they expected and this is another example of how the big boys get it wrong just like the small condo speculators. TML town council must be included in the failure and disappointment. Starwood relates to TML as an asset with contextual value and the context or situation has not been attractive since acquisition. No financial momentum, no Starwood interest. Starwood is not your parent’s MMSA owner. Regarding the difference between small investors and whales: We have criticized small time speculators, from realtors, to condo buyers to developers, but even the market making Starwood and the Ritz Stabauch group made the same bad timing, and inflated purchase price decisions. Even the billion $ Yellowstone Club founder and his billion $ resident clients, Credit Sussie, Tamarack Idaho and Utah’s Promontory got the timing, and numbers analysis wrong or foolishly did not look into the details. We are so much alike despite the 000s difference in our bank accounts. Yes, it does feel like the 80s realestate market again, but we have better schools, better mountain infrastructure, a new library, junior college, improved affordable housing, skating rink, and many new condos to help TML weather the “normal” life/economy, before the next “ELMER” or demographic hot flash. What did Paul say about Mammoth’s God given blessings? That really makes the rest of all this seem so minor and afar from our reason for wanting to be in Mammoth I guess the locals have always understood.